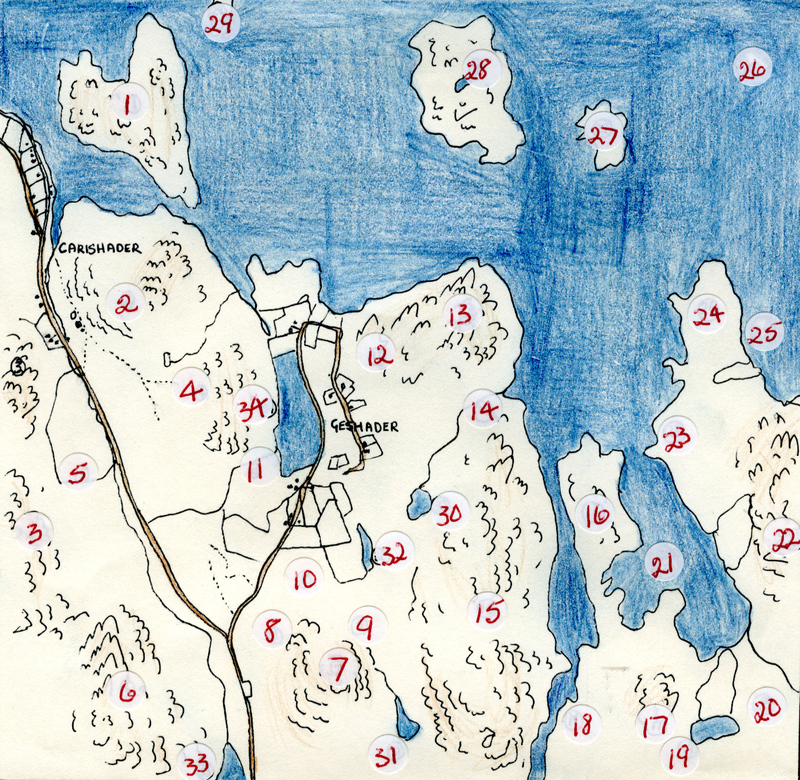 Key placenames and landmarks around the township of Geshader, the inlet to Little Loch Roag (the Sruth, next to #18), and the deserted settlement at Strome, as prepared by Finlay and Kenneth Maciver. There are many more placenames, which we’ll publish once we’ve worked out how best to present them; meanwhile there’s Enaclete too. Compare to the Ordnance Survey map. Cha mhisde sgeul math aithris dà uair. A good story is worth telling twice.